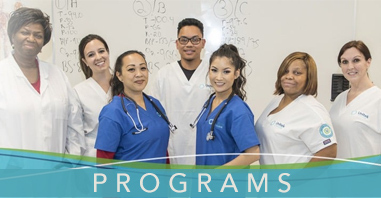 Fremont, CA – (November, 2014) – Unitek College has announced that the Commission on Collegiate Nursing Education (CCNE) has recognized and accredited its RN to BSN program. The Commission on Collegiate Nursing Education (CCNE) is an autonomous accrediting agency that is officially recognized by the U.S. Secretary of Education that contributes to the improvement of the public’s health. The CCNE accreditation is an important evaluation which validates Unitek College’s quality of education to the alumni adding credibility and respect. Unitek College is proud to include the Commission on Collegiate Nursing Education (CCNE) accreditation to its current Accrediting Commission of Career Schools and Colleges (ACCSC) accreditation. Unitek College offers three convenient physical locations in Northern California as well as an RN to BSN Online Program. Unitek College serves its local Northern California communities with a campus in Fremont, a campus in Sacramento and a campus in San Jose. 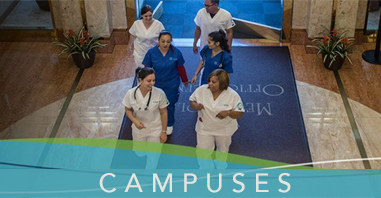 Unitek College offers programs in Medical Assisting, Pharmacy Technician, Vocational Nursing, Registered Nurse Bridge – LVN to RN, 2 Stage Associate Degree Nursing – ADN, and an online Bachelors of Science in Nursing – RN to BSN program. To learn more about Unitek College, and the programs offered at each of its campuses, visit www.unitekcollege.edu or call 888-775-1514. The Commission on Collegiate Nursing Education (CCNE) is an autonomous accrediting agency, contributing to the improvement of the public’s health. CCNE serves higher education institutions and acute care hospitals throughout the United States. The Commission ensures the quality and integrity of baccalaureate, graduate, and residency programs in nursing. The Commission on Collegiate Nursing Education (CCNE) is an autonomous accrediting agency, contributing to the improvement of the public’s health. The Commission ensures the quality and integrity of baccalaureate, graduate, and residency programs in nursing. The Commission serves the public interest by assessing and identifying programs that engage in effective educational practices. As a voluntary, self-regulatory process, CCNE accreditation supports and encourages continuing self-assessment by nursing programs and supports continuing growth and improvement of collegiate professional education and post-baccalaureate nurse residency programs.